Welcome to Small Success Thursday, hosted by CatholicMom.com! Here’s our chance to take a step back and look at our week to find the little successes that we might have missed in the hustle and bustle of our daily lives. 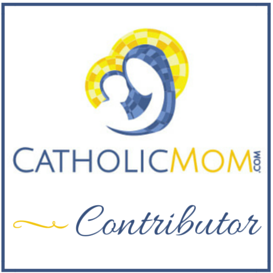 Hop on over to CatholicMom.com and see the other posts, and maybe post one of your own. I didn’t post last week because I was in California! So my successes have a lot to do with taking this trip with my husband. He had a two-day workshop that was scheduled for a Wednesday and Thursday, with Tuesday being a travel day. He took Friday as a vacation day, and we spent the three-day weekend seeing the sights of San Francisco. I’d never been to the West Coast before, so it was very exciting! The first big success of the trip was that I had two days to entertain the girls alone. I dropped Nathan off at his workshop and the girls and I looked for things to do. I admit that Wednesday didn’t get off to an early start, but I went to a small parish nearby, which has had Perpetual Adoration since August 15, 1976. 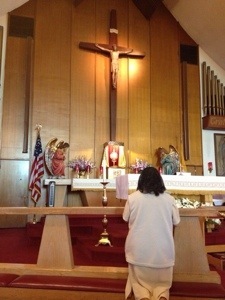 We went in, prayed Lauds silently, and stayed for a Rosary and Divine Mercy Chaplet. The church was beautiful! 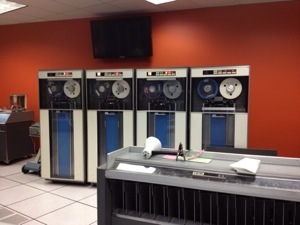 After that, we went to the Museum of Computer History, where we saw the same sorts of computers my father used to program. In spite of his aversion to text messaging, he used his iPhone to talk to me and look at pictures of the old computer stuff. 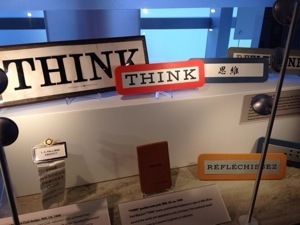 The next day, I dropped Nathan off and we went to The Tech, which partners with our local science museum. SUCCESS NUMBER TWO! 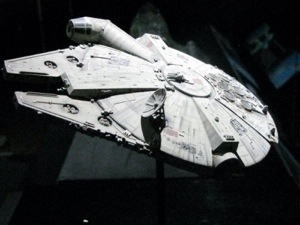 Admission to the museum was free, the Star Wars admission was given to us at the group rate (a group of three is not the same as a group of 20! ), and the IMAX movie was only $5 extra for each of us! I saved nearly 50%, and that passport pass paid for itself! It was a great day! I was extra-proud of myself for being able to drive around, find places without getting lost (thank you, Google Maps App! ), get discounts, and not freak out about being in a strange city. Yes, that’s the Pacific Ocean. Yes, it was cold! And, yes, i managed to get my pants wet. They dried off during dinner. I want to write more about our trip, and get back to a more regular schedule of posting again. That alone will be a BIG Success! 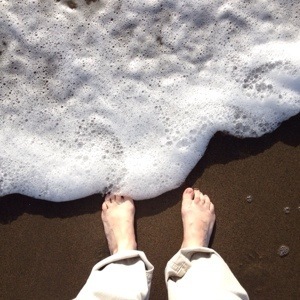 Tell about your own successes here, or leave a link to your blog piece at CatholicMom.com’s Small Success post this week! I enjoyed my quick trip to SF in 1995…but there were no smartphones or google maps. Don’t even ask me how many times we got lost…and then there was that discussion over whether we were REALLY looking at the Golden Gate where we were. Hmmm. I think I’d love to see and explore it again! I have not been out there since the late 90’s. Your trip sounds great. I love that you are a Catholic Geek! Geek on sister. Adoration sounds amazing! I have never been. 😦 I have always wanted to, it just hasnt happened. 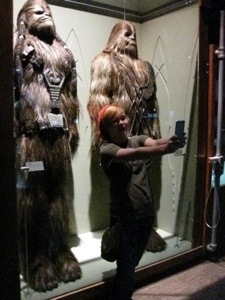 Glad your trip went well, and I love the selfie with Chewbacca! God bless!